(HealthDay)—Children living in neighborhoods with low walkability are at increased risk of asthma, according to a study published online April 17 in the Annals of the American Thoracic Society. Elinor Simons, M.D., Ph.D., from the University of Toronto, and colleagues evaluated associations between home neighborhood walkability and incident and ongoing childhood asthma using an administrative data cohort of 326,383 Toronto children born between 1997 and 2003 and followed until aged 8 to 15 years. 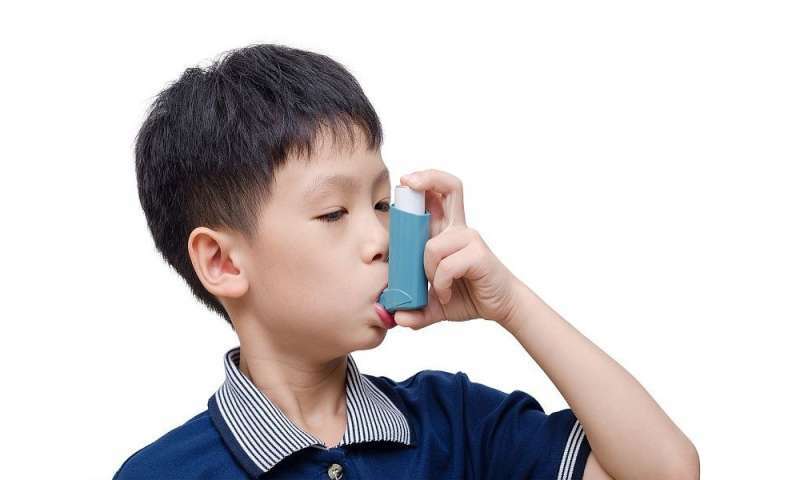 The researchers found that 21 percent of children (69,628) developed incident asthma and were followed longitudinally in the Ontario Asthma Surveillance Information System (OASIS) asthma database. There was an increased incidence of asthma among birth home neighborhoods with low walkability (hazard ratio, 1.11). Low walkability in a given year of a child's life was associated with greater odds of ongoing asthma in the same year (odds ratio, 1.12). "Children living in neighborhoods with low walkability were at increased risk of incident and ongoing asthma," the authors write. "Neighborhood walkability improvement, for example by adding pedestrian paths to improve street connectivity, offers potential strategies to contribute to primary asthma prevention."